Happy Valentines Day! Just to show you how much I love you, I did the unthinkable and made you a lightly-cocoa-flavored, heavily-food-colored masterpiece. (you know how I feel about any recipe that calls for 2 Tbsp food coloring, right?!) Hopefully the presence of cheesecake makes up for it. Plus, I think that a moderate amount of food coloring is allowed for certain holidays, especially since people just eat up this red velvet thing…no, seriously. They literally just devour it. Or at least that’s the case with these beauties. 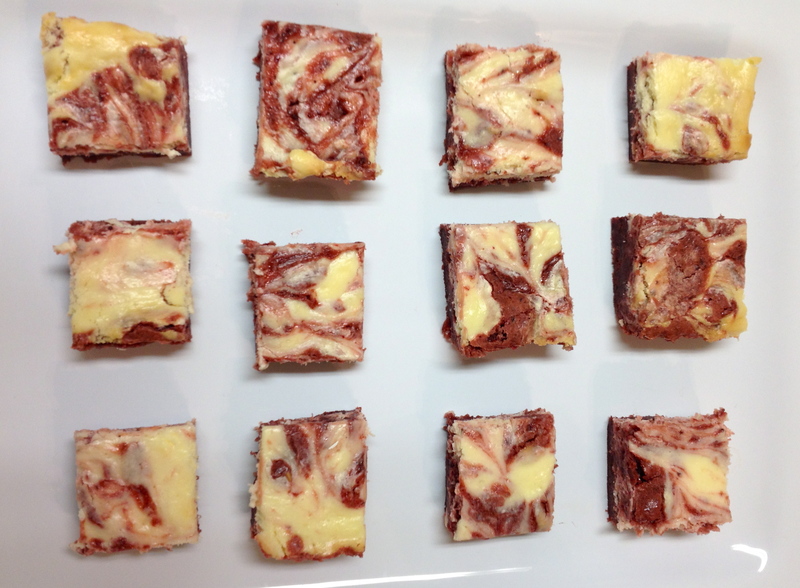 A couple of tips: when marbling the cheesecake into the brownie batter, use a butter knife with a rounded tip. Then you just swirl up and down, turning the smooth end of the knife through the brownie batter and over the top of the cheesecake batter. Also, when you are finished, I recommend freezing the brownies for about 15-30 minutes or until its partially frozen. 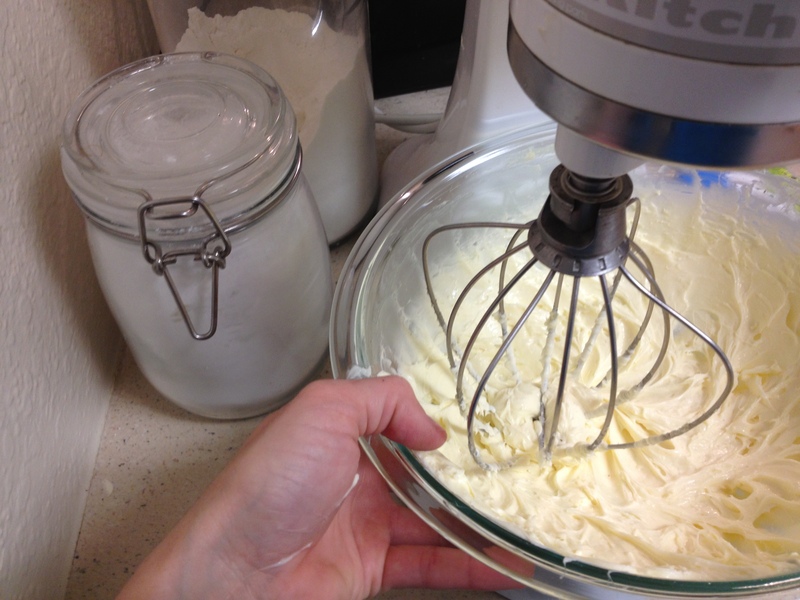 This will allow you to create clean lines when cutting into the brownies. Preheat oven to 350F. Line a baking dish with foil or parchment paper. Mix together the cocoa powder, food coloring and vanilla extract in a small bowl. Set aside. Cream the butter and sugar until light and fluffy. Beat in the eggs, one at a time. Add vanilla and salt, mixing to combine. Mix in the cocoa mixture, beating until the batter is red throughout and smooth. Add the flour, mix just enough to combine. Pour into prepared pan. Cream the cream cheese and sugar until smooth. Beat in egg yolks and vanilla; beat until smooth. 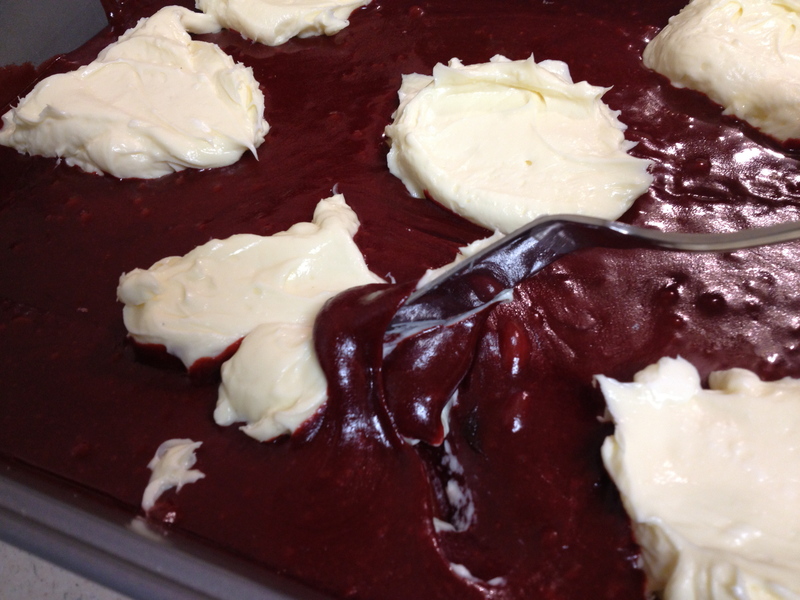 Drop big dots of the cream cheese mixture onto the brownie. 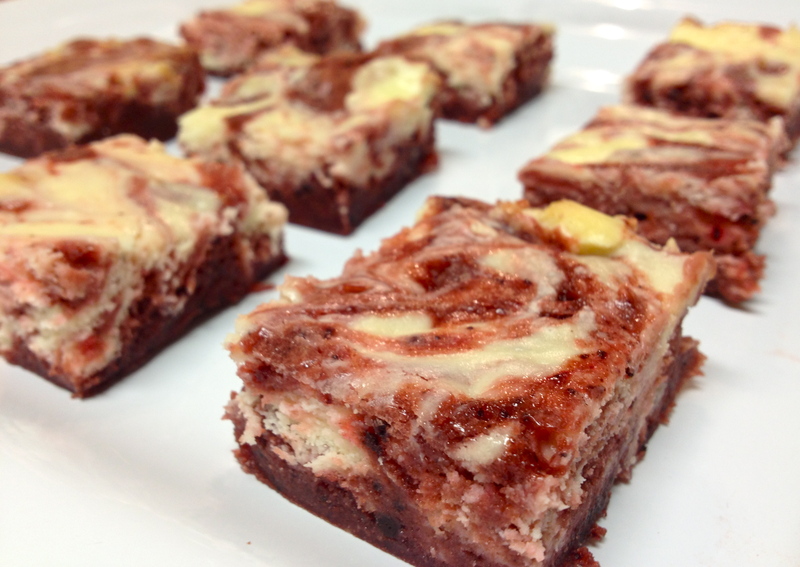 Swirl the cream cheese mixture into the brownie, turning the edges of the brownie over onto the cream cheese to make a marbled look. Bake for about 25 minutes, or until the edges of the cream cheese just barely turn kind of golden. The cheesecake part of the brownie should jiggle a little when tapped with a knife. Cool completely. Freeze for about 15 minutes before cutting.